Home ♦ Featured ♦ UPDATE: Corvette too loud for NCM Corvette track? Some of you may recall last year how we gave high ranking to the the National Corvette Museum’s (NCM) Motorsports Park for a U.S. track. It’s long and technical, has easy access from the highway and convenient to most things many tracks aren’t (such as cheap fuel, food and hotels). Unfortunately, that convenience comes at a price. And, now, a noise limit. So, if you are considering going, be aware: the 103 dB limit is being strictly enforced. 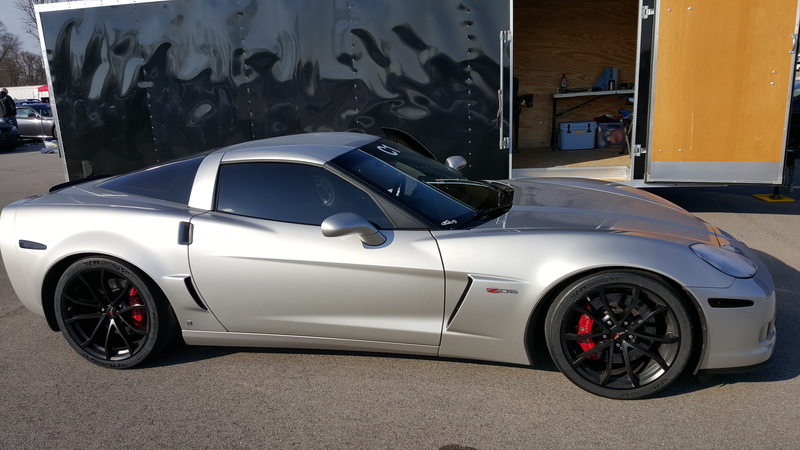 And, yes, your Corvette Z06 may be too loud. At the National Corvette Museum’s track. I was instructing a student recently at a HPDE, and his C6 Z06 blew the limit. With a factory Z06 muffler (okay, so he has headers and maybe no catalytic converter, but it’s factory at the back). Honestly, I wouldn’t consider the car that loud. You may have noticed we briefly mentioned the trouble the track is having with the locals. Well, that was just the start of it. Due to what sounds like miscommunication, the track opened without building sound mitigation as it said it would. So, the neighbors are pissed (now, it’s worth mentioning the neighborhood involved has always been a stone’s throw away from one of the main interstate-arteries in Middle America, I-65). Their claim: property values have decreased since the track opened. The neighbors sought to shut the track down. They requested a $100 / day fine. Fortunately, in December a judge denied an injunction and restraining order against the track. So, the folks at NCM went back to the drawing board and developed a new plan based on input from a sound engineering firm. After putting about $500,000 worth of sound distorting berms in, the neighbors are still pissed. It turns out that some refuse to negotiate until the track is shut down. Huff-and-puff, but maybe it’s coming time for the Little Piggies to put the “BigBadWolf” in his place?